When you’re searching for used Honda motorcycles in Michigan, you are generally also searching for the lowest priced used Honda motorcycle you can find. This doesn’t mean that the used Honda you want to buy is of low quality, but, you do want the most bang for your buck. 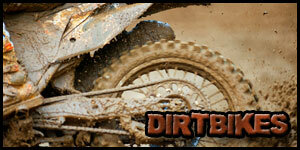 Enter USAPowersportsMI.com where we sell all of our used Honda motorcycles for less. Why sell used Honda motorcycles for so much less in Michigan when we could probably charge more and get a better price out of each of our used Honda motorcycles? Our business model is based on volume sales. We don’t want to sit on a lot of inventory and we would rather sell for less and make a little less on each used Honda we sell rather than hold out and try to get a higher price. By working this way, we satisfy more of our customers who will in turn recommend us to their family or friends. This helps us to sell more used Honda motorcycles in Michigan and allows us to continue to sell Honda motorcycles in Michigan for less. If you’re searching for a used Honda motorcycle in Michigan, take a look at the bikes we have listed for sale. However, be aware that the bikes we have posted are not all that we may carry. Since we move so many used Honda’s out through our doors, we sometimes don’t have time to post each motorcycle we have for sale at our low prices. If you don’t see what you’re looking for, give us a call at 1-800-963-9216. Tell us what you’re looking for and we can advise you if we have something that will be a match for you. Even if we don’t have a particular Honda in stock, we can use our vast resources to find the used Honda motorcycle you really want. When we do have what you want, we’ll sell it to you for less than you might expect to pay. We also offer financing for your used Honda motorcycle in Michigan. We offer all types of financing for everyone. 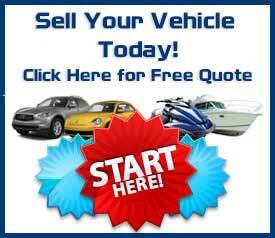 We’ll get you financing with low monthly payments even if you have bad credit or no credit. You can apply online using our finance application. We’ll get you approved for a used Honda motorcycle finance plan that will fit your budget. Soon, you will be riding your Honda motorcycle in Michigan or anywhere else for that matter that you bought for less from us. At USAPowersportsMI.com, we mean business and we will sell you the used Honda motorcycle you want for less than any other dealer.